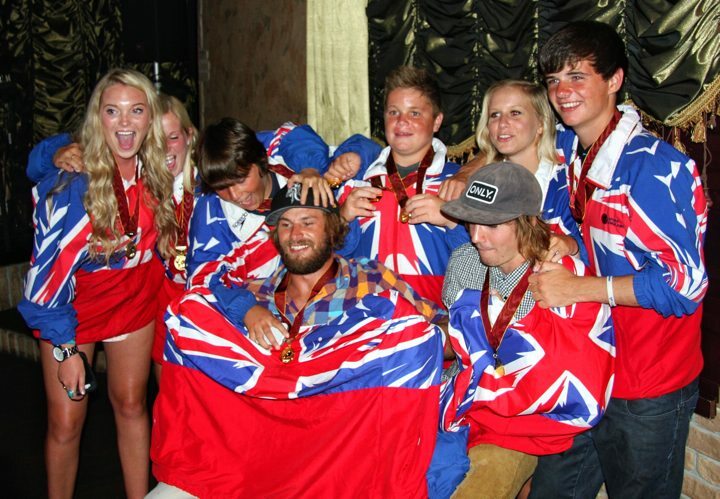 [PRESS RELEASE: London - 28/Aug/2012] Team GB win Team Gold at the IWWF/EA - Wakeboard and Wakeskate Championships 2012. The GB Team won medals in numerous divisions which proved decisive in gaining the team gold. 2012 has been a special year for British sports achievement and Team GB Wake has added to national pride by bringing home an impressive collection of medals from the 2012 Euros in Kiev. In the Junior Ladies division Megan Barker continued her amazing 2012 season with a gold medal that she can add to her Wakeboard UK National and Junior National titles. In the Boys Division Finals Bryce Corrand rode his way to 1st place and a well deserved gold medal, his fellow Brit Jefferson Haddon taking 4th place. In the highly technical Wakeskate division Oliver Moore scored head and shoulders above his European competitors to win a gold medal, another athlete who has taken their 2012 UK National title and added a European gold. In the highly competitive Junior Men Wakeboard Finals Jorge Gill took home the silver medal, narrowly loosing out to Dutch rider Marc Kroon. In Open Ladies Charlotte Bryant won 2nd place, winning a silver medal, with Irish rider Sian Hurst just pipping her to the 1st place. In Open Mens team caption Sam Carne progressed through to the semi finals but sadly didn't make it into the finals. Finally, in Junior Ladies Nancy Creedy competed in the qualifiers and LCQ didn't progress into the finals. Wakeboard UK provided the team management and support for the event in Kiev, thanks to all the management team for their hard work and congratulations to all the riders, a fantastic result.